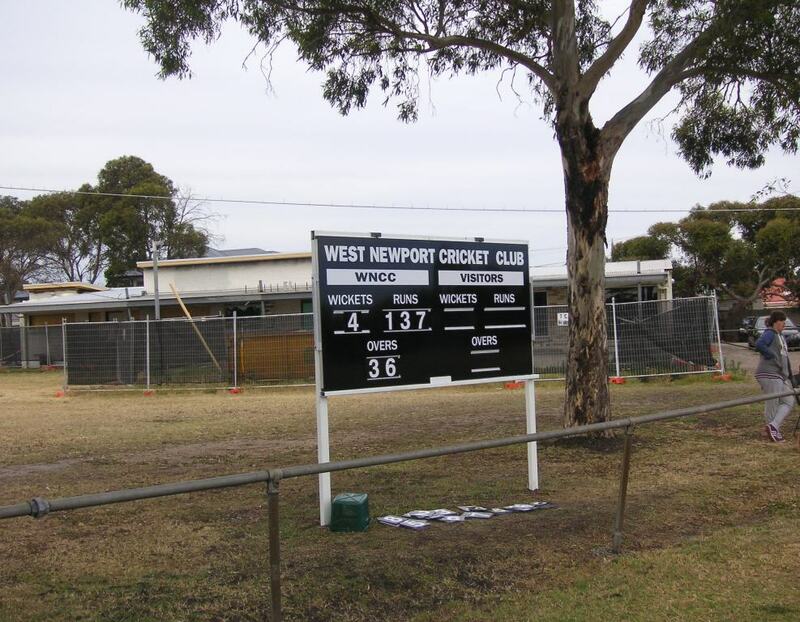 About two years ago the A.Pannell Pavilion at Loft Reserve was gutted by fire, destroying precious trophies and memorabilia of the West Newport Cricket Club and the Powerhouse Rugby Club. The clubs are currently using temporary changerooms and clubrooms. Rather more permanent, though, is the neat new scoreboard. Nothing flash, but it does the job well. Here’s hoping the new rooms are built soon.